A 1965 Ferrari 275 GTB Speciale sold for $8 million as the top result at the Gooding sale and all 2018 Scottsdale classic car auctions. The Jaguar D-Type failed to sell. 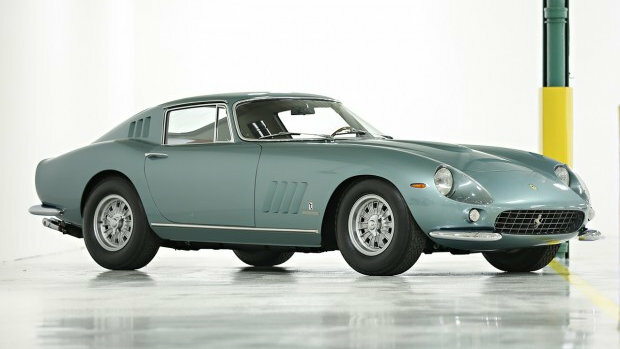 Gooding sold a 1965 Ferrari 275 GTB Speciale that was the personal car of Batista Pininfarina for $8,085,000 – the highest result at the 2018 Scottsdale, Arizona collector car auction series. Further multi-million results at Gooding Scottsdale 2018 included a 1954 Ferrari 500 Mondial Series 1 and a 1931 Bugatti Type 55 Roadster. 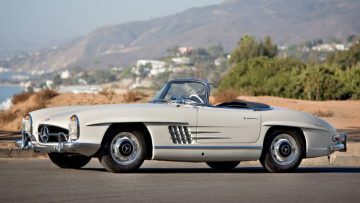 Gooding also sold four Mercedes Benz 300 SL cars – two Gullwings and two Roadsters – for over a million dollar. Gooding achieved million-dollar results on 12 cars – more than any other auctioneer at Scottsdale 2018. Gooding & Co held its 11th annual Scottsdale classic car auction on January 19 & 20, 2018, at the Scottsdale Fashion Square, in Scottsdale, Arizona, USA. In 2018, Gooding earned $49.2 million by selling 110 out of 129 cars offered – a sell-through rate of 85% and an average price of $447,415. In 2017, Gooding gained $33.4 million at the Scottsdale auction by selling 106 of the 126 lots on offer – a good 84% sell-through rate. In 2016, Gooding grossed $43 million from 113 cars and in 2015 it achieved $51.5 million from 126 cars on offer. Price include premium. Exclude post-hammer deals. Gooding sold 12 cars for over a million dollar at the Scottsdale 2018 classic car auction – more than any other auction house at the Scottsdale, Arizona 2018 sales. 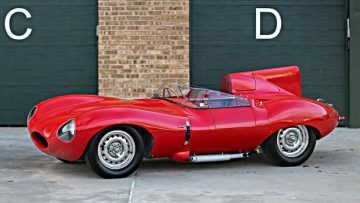 Disappointingly, the red 1956 Jaguar D-Type failed to sell despite a highest bid of $8.85 million. The Works 1954 Jaguar D-Type at RM Sotheby’s Arizona 2018 sale on the same day similarly failed to sell despite the highest bid of the Scottsdale 2018 auction series – $9.8 million. 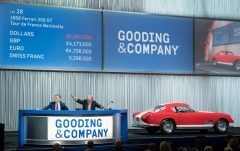 Gooding was also unfortunate not to have closed the deal on the 1958 Ferrari 250 GT Series 1 Cabriolet – the $6.4 million highest bid was tantalizingly close to the estimate $7-8.5 million and would have been a result well above recent auction prices for the model. The special in this car is the unique body that was built by Carrozzeria Pininfarina for the personal use of Battista Pininfarina. Although the car largely resembles the standard 275, it differs in almost all details from the regular cars. The most noticeable differences include a rear diffusor and the lack of a driver’s-side vent window. Pinin Farina apparently disliked vent windows as distracting from the purity of the design. The more luxurious interior is also unique to the car. This 1965 Ferrari 275 GTB Speciale has been on static display for the past 25 years and not shown at any major events. 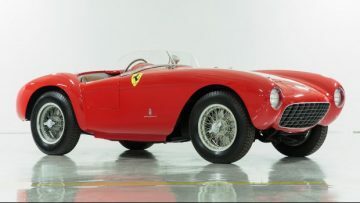 A 1954 Ferrari 500 Mondial Series 1 sold for $4,455,000 at the Gooding Scottsdale 2018 sale. Although somewhat below estimate, it was nonetheless a fairly strong result for the model. The original owner Herman Roosdorp and the second owner Hans Maasland successfully campaigned the 500 Mondial at numerous races in 1954 and 1956 especially in the Netherlands and Belgium. The Mondial has been on static display and not shown at major events for the past two decades. 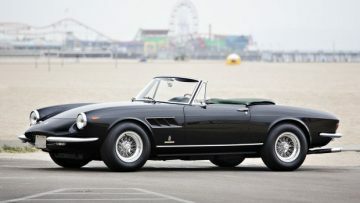 A 1967 Ferrari 330 GTS sold for a very strong $2,530,000 when the original owning family managed to buy the car back. It is a matching-numbers example and one of only 99 produced. It has only 25,000 miles on the clock. A similar car at RM Sotheby’s failed to sell with a highest bid of $1.65 million. A 1931 Bugatti Type 55 Roadster sold for $4,070,000 at the Gooding Scottsdale 2018 sale. This car was the first Type 55 produced and had a unique Jean Bugatti roadster coachwork – unfortunately the current body is a reproduction. The Type 55 was for years in the Dr Peter and Susan Williamson Bugatti Collection and was sold for $1,760,000 at the 2008 Gooding Pebble Beach sale. 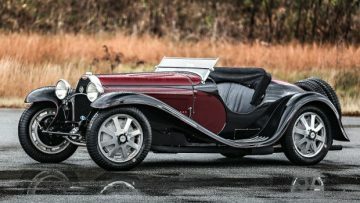 An older 1922 Bugatti Type 29/30, estimate $800,000 – $1,000,000, failed to meet the reserve with a highest bid of $700,000. Mercedes Benz 300 SL prices have been firmer at recent auctions but it appeared as if Gooding was planning to kill off the recovery in one swell swoop by offering five 300 SLs at Scottsdale 2018. Bonhams and RM Sotheby’s also sold a Roadster each. The best example, a late production 1963 Mercedes Benz 300 SL Roadster, estimate $1,600,000 – $1,800,000, was the only 300 SL that failed to sell. It received a highest bid of $1.35 million and the owner probably sensibly preferred to wait for more. The 1960 Mercedes Benz 300 SL Roadster sold for $1,100,000. The recently restored car had only two private owners since 1961. 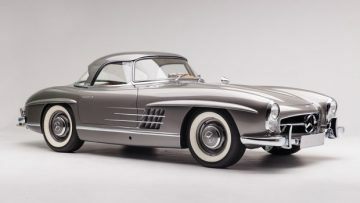 The 1957 Mercedes Benz 300 SL Roadster sold for $1,083,500. This matching numbers example was presented in its original color scheme of light blue over cream. 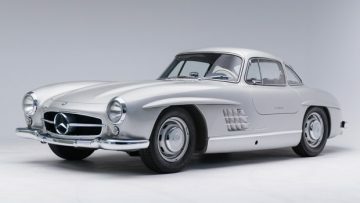 The 1956 Mercedes Benz 300 SL Gullwing sold for above estimate $1,320,000. The 1954 Mercedes Benz 300 SL Gullwing sold for $1,155,000. This car was the 128th of 1,400 produced. The mechanics have been restored but the body is almost garage-find condition. The seller owned the Gullwing since 1965. Three of the four hypercars on offer at Gooding Scottsdale 2018 achieved strong results despite selling for just below the rather optimistic estimates. 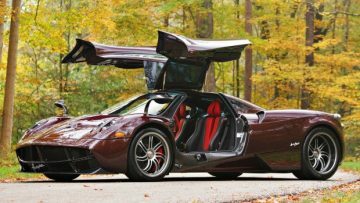 The 2014 Pagani Huayra sold for $2,090,000 – the third of the model to sell for over two million at auction. It was the 87th of only 100 Huayras produced and the only one in Carbonio Rosso – an exposed red carbon fiber body. This US specification model has traveled less than 1,000 miles since new. 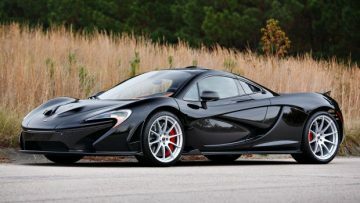 The 2015 McLaren P1 sold for $1,732,500 – the lowest result of the seven P1s sold at auction since 2015. It is a US specification model finished in Carbon Black. It has traveled less than 1,700 miles since new. 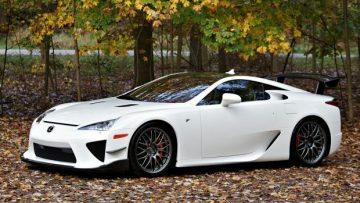 The 2012 Lexus LFA Nürburgring Package sold for $825,000. It was the 498th of 500 LDA models produced and one of only 50 fitted with the Nürburgring performance package. The 2015 Porsche 918 Spyder failed to sell despite a highest bid of $1.55 million. This 918 has less than 100 miles on the clock. 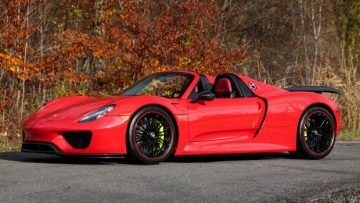 Other 918s on offer at the various Scottsdale sales also failed to reach the high prices achieved by the model in 2017.